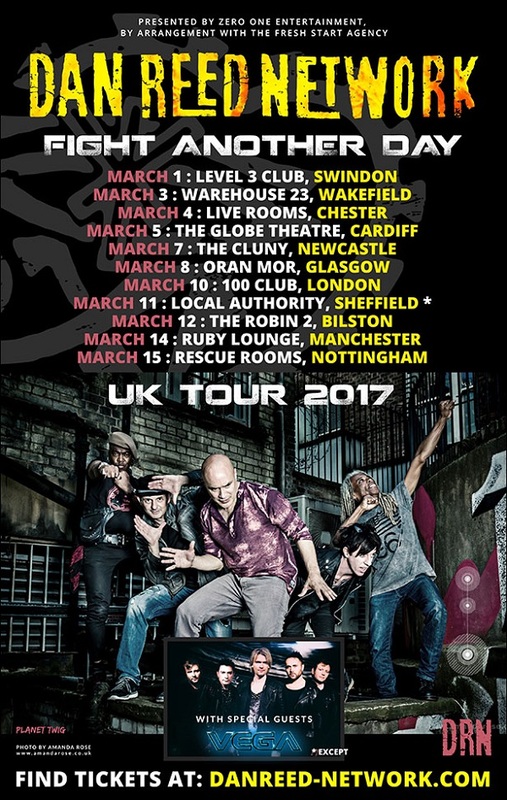 Dan Reed Network are pleased to announce a nationwide 11-date UK Tour in March 2017 to promote their recent studio album “Fight Another Day”. Frontiers Music Srl released Dan Reed Network’s latest studio album “Fight Another Day” on Friday June 3rd, 2016. The album marked a significant and anticipated return of one of the most infectious and gifted bands to come out in the melodic rock world in the second part of the 1980’s. Originally formed in Portland, Oregon, Dan Reed Network packed out local clubs from late 1984 through 1986 with their compelling mix of musical styles ranging from hard rock, funk and soul. In 1987, the first single, “Ritual”, peaked at number 38 on the Billboard Charts and became a staple of the funk rock. While attending the Rock and Roll Hall of Fame and Museum induction ceremony in NYC in January 1989, Dan Reed met up with producer Nile Rodgers (Duran Duran, Madonna, David Bowie) which led to the creation of the second album “Slam”. 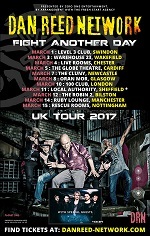 Produced by Rodgers, it better represented the Dan Reed Network’s live sound and accelerated the band’s growing status in Europe. Dan Reed Network opened the European leg of Bon Jovi’s ‘New Jersey Tour’ in 1989 and The Rolling Stones’ European Urban Jungle Tour in 1990. DRN’s third album “The Heat”, produced by Bruce Fairbairn in 1991, was their biggest success in the UK, mostly due to the single “Lover” which was accompanied by a live video from Wembley Stadium filmed when they opened for the Stones.